ELIZABETH, New Jersey (WABC) -- A woman who had a child with the man suspected of setting off bombs in New York and New Jersey has been granted full custody of their child. The Edison, New Jersey, woman, Maria Mena, filed the petition Tuesday with a family court in Union County, New Jersey and asked for a restraining order. The hearing was Wednesday. On the brief form, she indicated that she was requesting full custody because the "defendant has been charged with police attempted murder and is currently under protective services after possible terrorist related activity in NYC." 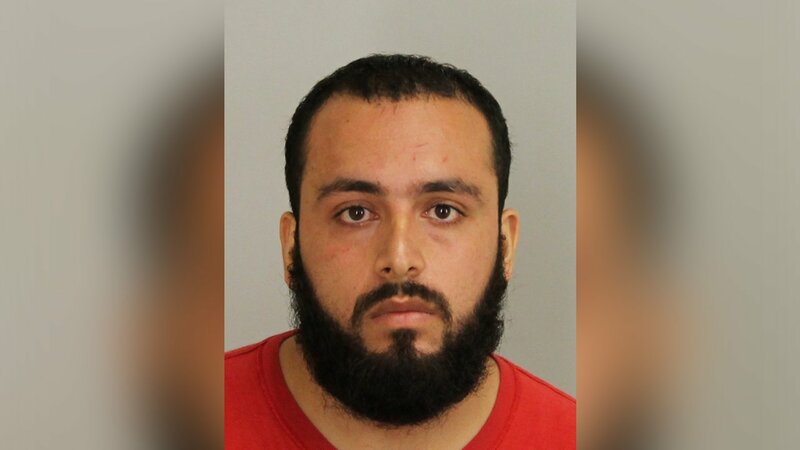 Under the order, Rahami is prohibited from contacting their child until an upcoming scheduled hearing on Sept. 27th. Mena, a high school girlfriend of Ahmad Khan Rahami, provided no other details on her relationship with the suspect, except to say she last spoke to him by phone in January. When asked when she last saw Rahami, Mena wrote: "Television 9/19/2016." When asked if he was incarcerated, she wrote, "Protective services under terrorist investigation." She indicated their daughter, who they currently share legal custody of, will "suffer substantial and irreparable harm" unless Rahami is "restrained from taking the child from my custody." Mena has filed at least seven claims against Rahami for more than $6,800 in child support starting in 2008. In 2011, Mena attempted to stop Rahami's "overnight parenting time." It was denied by Judge Barry Weisberg. Mena "provided no evidence that (the child) is in danger of being removed from the country."